A very warm welcome to our website. We are a small but very active and friendly group of allotment holders based on the Hempland Lane site in York, North Yorkshire. This website is run by volunteers so please be patient awaiting updates. If you have an idea for an article, or have pictures you would like us to include in the gallery then please get in touch using the contact links. Some of you might know about the Waitrose Community Matters scheme. Each month Waitrose share out £1000 to local good causes, the share depends on how much support each cause gets. Our project to transform the easy access area and create a new community space is one of the three good causes for March! Every time you buy anything from Waitrose in Foss Islands Road, even single items like a banana or a magazine, you’re given a green token. You then put your token into one of the three boxes on the way out. 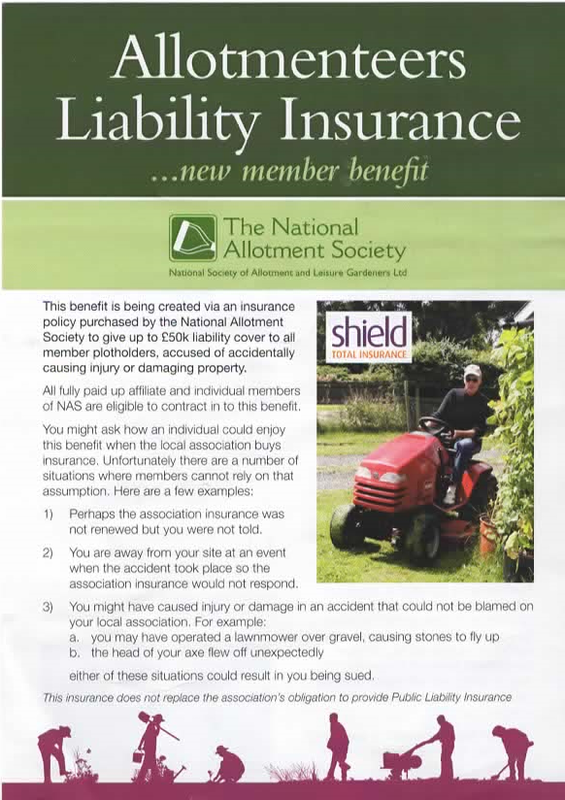 Here are parts one and two of a allotment liability insurance leaflet which you might find useful. You can now download our latest newsletter. You can now download a document showing some ideas for a new community area / easy access area revamp. We will be removing the contents of our email lists shortly to comply with new regulations regarding privacy. If you wish you can resubscribe via the Contacts Us page but please only resubscribe after the 5th May. An allotment garden (British), often called simply an allotment, or a community garden (North America) is a plot of land made available for individual, non-commercial gardening or growing food plants. Such plots are formed by subdividing a piece of land into a few or up to several hundred land parcels that are assigned to individuals or families. Such parcels are cultivated individually, contrary to other community garden types where the entire area is tended collectively by a group of people. In countries that do not use the term allotment (garden), a community garden can refer to individual small garden plots as well as to a single, large piece of land gardened collectively by a group of people. The term victory garden is also still sometimes used, especially when a community garden dates back to World War I or II. The individual size of a parcel typically suits the needs of a family, and often the plots include a shed for tools and shelter, and sometimes a hut for seasonal or weekend accommodation. The individual gardeners are usually organized in an allotment association, which leases or is granted the land from an owner who may be a public, private or ecclesiastical entity, and who usually stipulates that it be only used for gardening (i.e. growing vegetables, fruits and flowers), but not for permanent residential purposes. 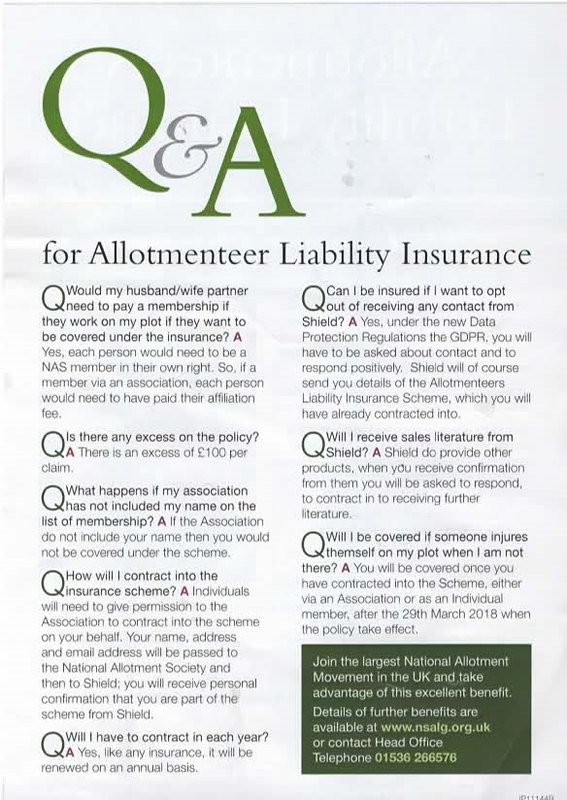 The gardeners have to pay a small membership fee to the association, and have to abide by the corresponding constitution. In 1904 there were about 20,000 allotment gardens in Denmark, 6,000 of them were in Copenhagen. During the interwar years the number of allotment gardens grew rapidly. In 2001 the number of allotment gardens was estimated to be about 62,120. The first allotments ("dachas") in Russia began to appear during the reign of Peter the Great in the late 16th Century. Initially they were small estates in the country, which were given to loyal vassals by the Tsar. In archaic Russian, the word dacha means something given. – In the case of Hempland this could be Ground Elder, Mares Tail, Couch Grass, Brambles or Bindweed, or I am I just being sarcastic? As of 1st November 2017 York Allotments Charitable Incorporated organisation (YACIO) has taken over the management of 16 allotment sites across York from City of York Council. Currently there are five trustees who are made up of plot holding volunteers who expressed an interest in holding office at the conclusion of the task force initiative, which began in January 2017. The Charity’s Constitution, which has been ratified by the Charity Commission, proposes that there can be up to nine trustees who can hold a post for up to three years before being put before an Annual General Meeting for re-election or otherwise. How are decisions made about how the Charity will be run? To begin the process, five trustees (drawn from allotment plot holders) volunteered to put time aside and build a business plan which offers an alternative management structure to that provided by the City of York Council. The trustees have taken advice from a number of sources and have agreed to take up office for a period of up to eighteen months during which time the first Annual General Meeting (AGM) will be held. All members of the charity who are allotment holders will be entitled to attend the AGM and cast a vote on any issues raised. This will include nominating new trustees or re-electing current trustees. The trustees will have responsibility for managing all of the City of York allotment sites but be accountable to members through any resolutions passed at AGMs. Many thanks to the following people who have already helped by sponsoring a sleeper for £20, it is very much appreciated! In addition, our thanks to Smith & Nephew who have made a generous donated towards sponsoring sleepers for the next bed to be rebuilt. We are now having to pay for the manure that is delivered to our site. Please note that any "donations" will be very gratefully received at the shop on Sunday mornings or can be given to any member of the committee. The manure is provided for association members so if you have not joined you can do so for only £5.00 in the shop as well. Please make sure that, if there are no vehicles in the car park when you leave the site, you lock the gate. This makes it so much more difficult for thieves who might drive onto the car park and it also reduces the likelihood of fly-tipping which has been on the increase recently.